This is the first day the light has been good in a couple of weeks. 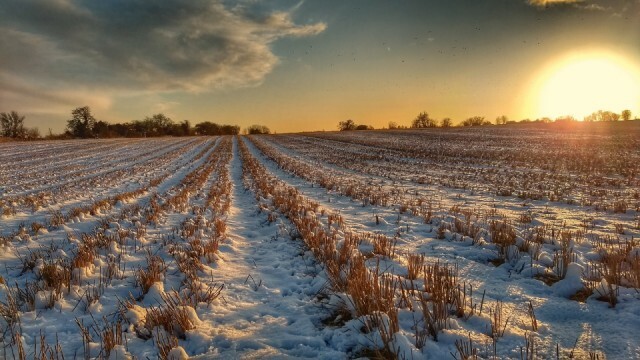 I got this shot just as the sun was about to set, having walked for over a mile in thick snow to get to this field. I reckon it was worth it, though !